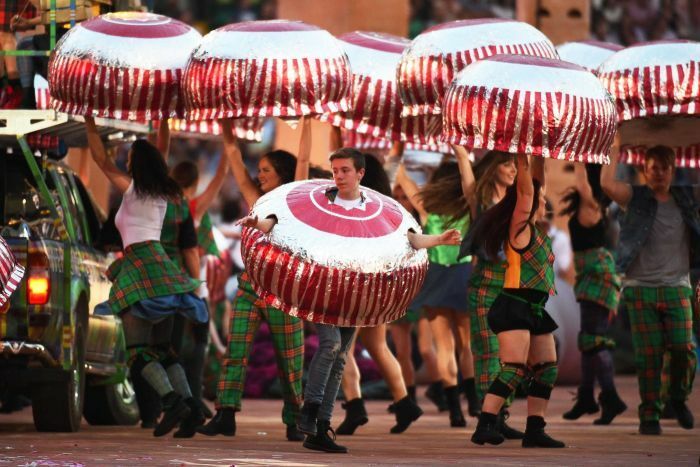 The 2014 Commonwealth Games are happening right now in Glasgow, Scotland! This is a pretty exciting time for everyone with a vested interest in Commonwealth nations as they watch the different countries compete for prestigious medals and prizes. But you might find yourself wondering about a thing or two. For instance: ‘What exactly are the Commonwealth Games?’ or ‘What do these games have to do with TTL?’ Valid questions, to be sure. So to help ease your mind, we’ve compiled a short Q&A below! 1) What is the Commonwealth? According to its founding Charter, the Commonwealth of Nations is a voluntary association of 53 independent and equal sovereign member states that collaborate through economic support and political strengthening to champion several key values, including: democracy, human rights, international peace and security, and more. Read the full charter here. Moreover, all the participating Commonwealth nations share a certain degree of common colonial past with the United Kingdom, whose reigning monarch is currently their official head of state or perhaps was at one time. Today Queen Elizabeth II is recognised as the head of the Commonwealth. 2) What are the Commonwealth Games? In 1891, an Englishman named Sir John Astley Cooper proposed a “Pan-Britannic-Pan-Anglican Contest and Festival…as a means of increasing goodwill and good understanding of the British Empire” – which it was at that time. The idea took a few years to organise, but since their initial round in 1930, the international athletic competitions now called the ‘Commonwealth Games’ have been held every four years (think British Olympics). The events have expanded and changed over time, but the Games currently boast 21 able-body sports and 7 para-sports, which the host country sets with official approval from the Commonwealth Games Federation. The 2014 Glasgow Games include: Athletics, Badminton, Boxing, Cycling (Mountain Bike, Road, and Track), Diving, Gymnastics (Artistic and Rhythmic), Hockey, Judo, Lawn Bowls, Netball, Powerlifting, Rugby Sevens, Shooting, Squash, Swimming, Table Tennis, Triathlon, Weightlifting, and Wrestling. 3) How is Lesotho involved? Wouldn’t you know it – Lesotho is a member of the Commonwealth, having joined in 1966. 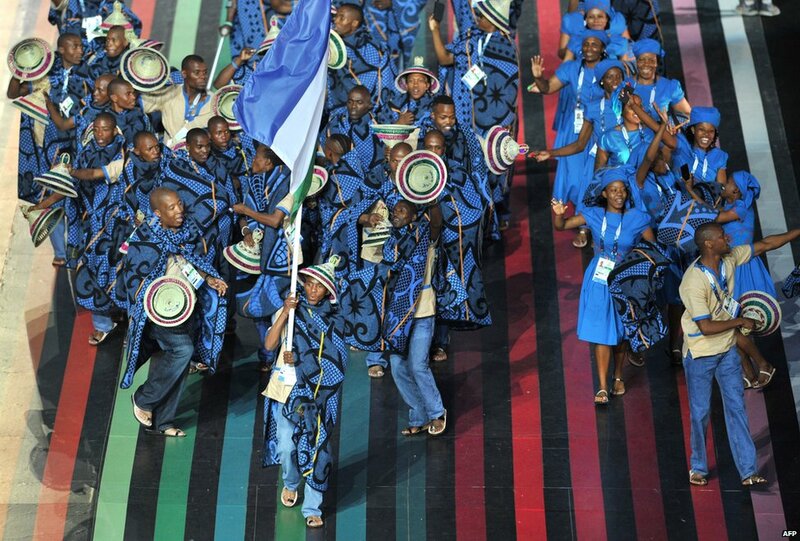 Since 1974, Lesotho has attended the Commonwealth Games and sends most of its competitors to the running events (where their successes are no doubt a result of high-altitude training). For the 2014 Games, 27 athletes traveled to Wales where they trained and prepared to represent the Mountain Kingdom. Most of their events are scheduled for this week, so tune in to cheer them on with Basotho pride! 4) What else do I need to know? 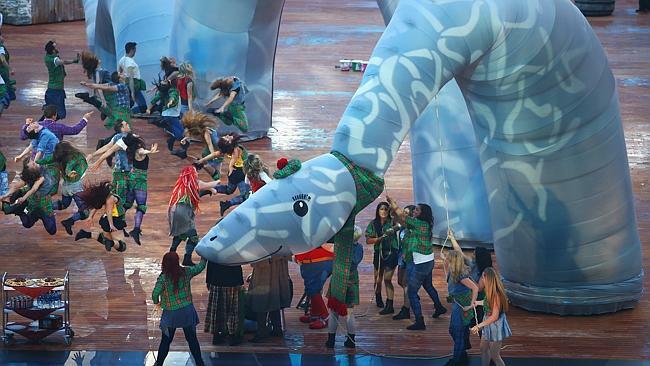 Like many friendly competitions, the Commonwealth Games are an opportunity for the host city to put forth its best face and exhibit its unique history and amusing quirks. Certainly, Glasgow is not short of quirks, nor shy about celebrating them. But Lesotho has its own claims to fame, some of which the Basotho athletes flaunted when parading in the opening ceremony. For instance, the conical shape of the mokorotlo, or Basotho hat, is inspired by Mount Qiloane, one of the peaks in the Maluti Mountain range that give Lesotho its harsh climate – thereby justifying those beautiful Basotho blankets – and unique status as the country with the highest low point in the world: 1400m! The country motto is ‘Khotso, Pula, Nala’ meaning ‘Peace, Rain, Prosperity’ and respectively represented by the white, blue, and green of the Basotho flag (which also features the indigenous Basotho hat. Do you want to seem proactive? You should then focus on Fitness. That is a sensible decision. Officially, we'll see what would happen if you had waited. This installment is basically just to reinforce the reasons I have for Fitness. Place eye drops in your eyes to really get eyes that shine. This also prevents your eyes from getting dry, itchy and irritated. If you have a desk job where you are on a computer for a long time, eye drops are extremely handy because they can alleviate tired eyes. Simply keep eye drops handy and use about every four hours.Incorporate exercise into your daily life. Moving daily will keep you healthy and looking young. It is a vital part of any beauty regimen. You should aim for 15 to 20 minutes of some sort of physical activity each day.